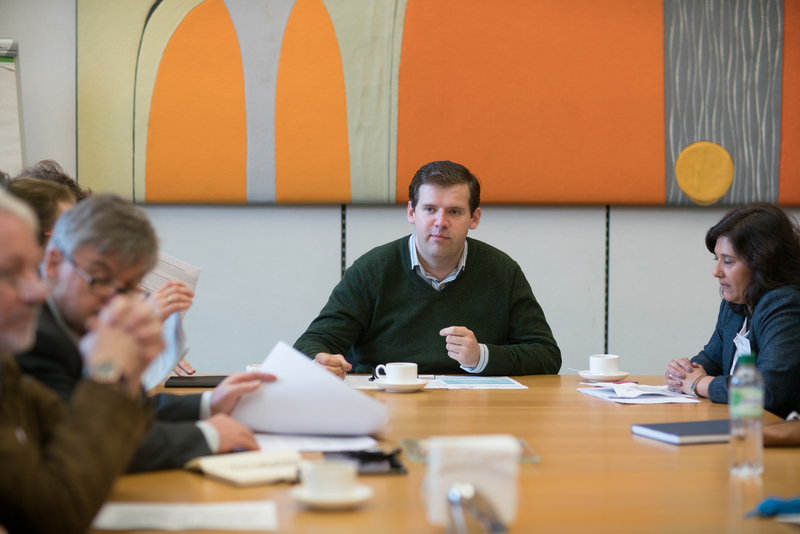 On Tuesday 15 November, members of the All Party Parliamentary Group on Rare, Genetic and Undiagnosed Conditions met with representatives from NHS England and the National Institute for Health and Care Excellence (NICE) to discuss the implementation of the UK Strategy for Rare Diseases in England. The hearing culminated a series of events looking at how the Department of Health and its arm’s lengths bodies are working to implement the 51 commitments outlined in the Strategy in England. Published in 2013, the Strategy outlines what all four nations of the UK can do to improve the diagnosis and care of patients and families affected by a rare disease. The Department of Health (DH) in England is the only department of health not to have published a specific implementation plan that reflects its health service structures and priorities. The DH believes responsibility for coordinating the implementation of the Strategy by 2020 should fall to NHS England. Sheela Upadhyaya, Associate Director of the Highly Specialised Technology (HST) Programme at NICE, provided an overview of NICE’s work in relation to rare diseases and its HST programme, which is used to evaluate some medicines for rare disease patients. Within the Strategy, NICE is responsible for implementing the commitment to ‘ensure that there are appropriate procedures for evaluating the costs and benefits of treatments available for patients’. Medicines evaluated through the HST programme are for very small patient groups. HST evaluations seek to balance the potential value of a medicine with the uncertainties associated with its efficacy (as a result of data gathered from small populations). In order to overcome the issues that arise when collecting evidence for the commissioning of rare disease medicines, NICE and NHS England have successfully arranged for two treatments to be commissioned through what’s termed a Managed Access Agreement. These agreements allow patients access to treatments whilst allowing clinicians and industry to collect data to address any uncertainties identified during the product’s initial evaluation. The Managed Access Agreement lasts for five years, after which NICE will re-evaluate the medicine. 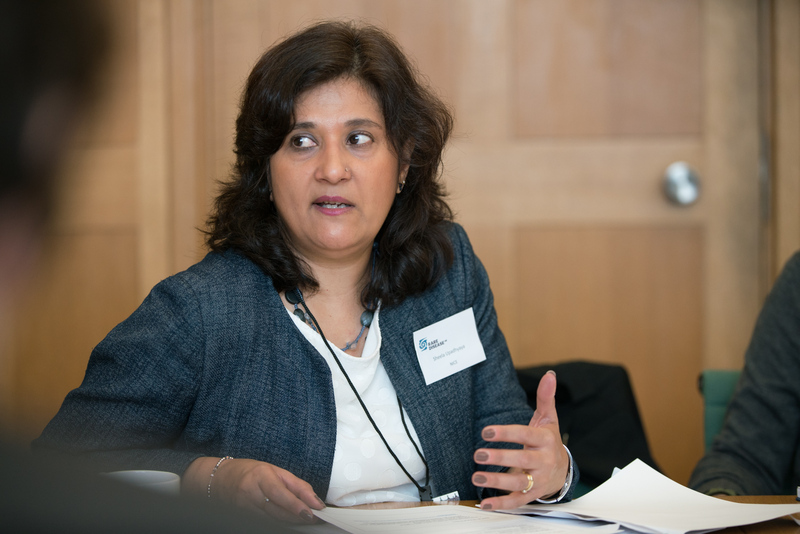 Sheela Upadhyaya informed the group that NICE has recently launched a joint consultation with NHS England to overcome some of the difficulties involved in decisions about commissioning. Treatments evaluated through the HST programme are of a high cost and often these medicines are taken for a long period of time. As a result, a number of financial considerations are taken into account during the HST evaluations that are not usually considered during technology appraisals for more widely-used medicines. NICE has established mechanisms for incorporating patient and clinical expertise into evaluations. Responding to questions about how NICE works with the devolved nations, Ms Upadhyaya explained that although NICE has not worked directly with the devolved nations around how evaluations should take place, the NICE HST team works closely with the Scottish Medicines Consortium to provide advice on its decisions and processes. Wales and Northern Ireland usually implement decisions that NICE recommends. In 2014, NHS England was charged by the DH with implementing around half of the Strategy’s 51 commitments. Nationally, NHS England is responsible for commissioning services for rare disease patients. Its Rare Disease Advisory Group (RDAG) advises NHS England and devolved services on highly specialised technologies, used on small patient populations, and rare diseases. Representing NHS England at the hearing were James Palmer and Fiona Marley, who work within NHS England’s Specialised Services team. Working with the DH, it has developed the 100,000 Genomes Project. Rare diseases form the most productive area of the project, with over 17,000 samples collected from rare disease patients to date. As well as Managed Access Schemes, NHS England has also developed its Commissioning through Evaluation (CtE) process, and is this week assessing the first rare disease treatment. NHS England Specialised Services has worked with the Royal Colleges and professional associations to look at ways to better identify conditions that are not only difficult to diagnose, but have a detrimental impact if they remain undiagnosed. It also plans to refine its annex for highly specialised services. NHS England believes there is an appropriate level of patient and public engagement with every structure in highly specialised commissioning. In response to the Strategy, Specialised Services is in the process of developing a prompt for use in primary services to encourage GPs to consider rare disease diagnoses. 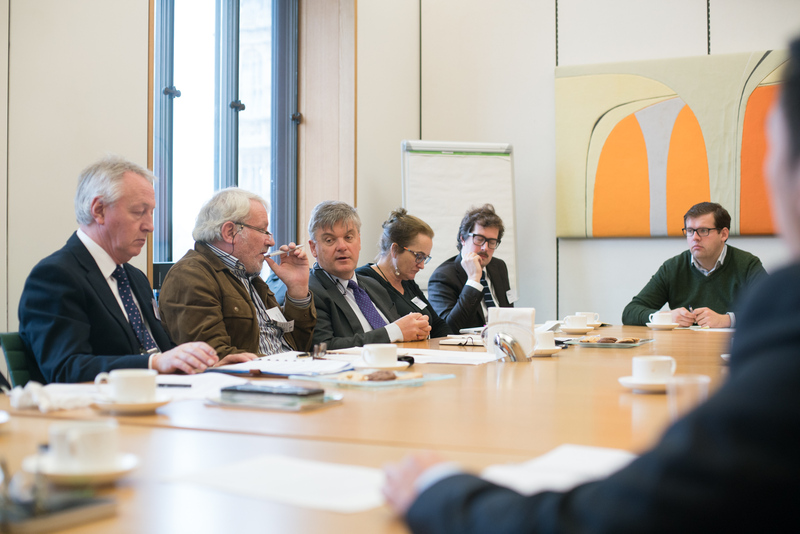 It is also considering how the UK can continue to be part of European Reference Networks in future, and use the experience and principles of those in UK rare disease networks. Specialised Services has formed a ‘Cross Clinical Reference Group’, bringing together the Clinical Reference Groups (CRGs) to work on a number of areas, including research with the National Institute for Health Research. Responding to patients’ concerns about rare disease patients’ treatment of mental health, Ms Marley said that the mental health needs of rare disease patients are considered as part of the development of service specifications. During the discussion that followed presentations, NHS England reiterated its belief that the DH should develop an implementation plan, while recognising that its arm’s length bodies should be responsible for implementing individual commitments. NHS England will not evaluate or carry out work on commitments that are outside its influence. 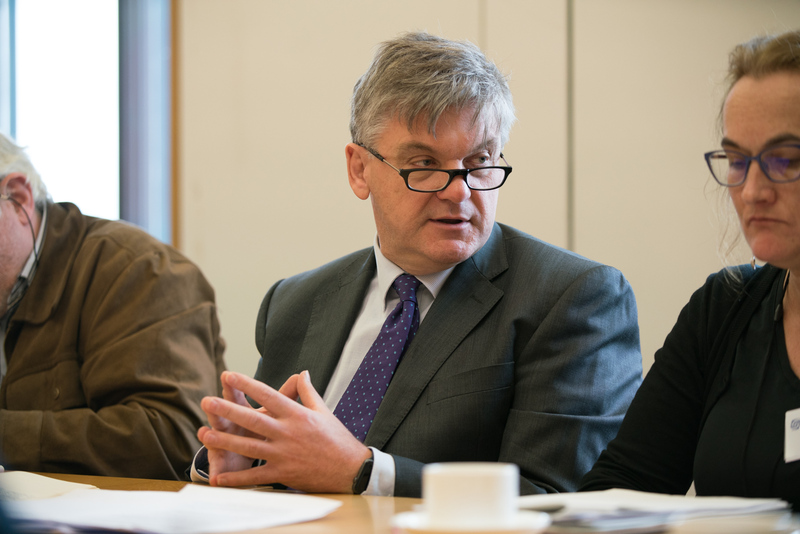 The implementation of NHS England’s Five Year Forward View published in 2014 has delayed the implementation of the UK Strategy for Rare Diseases. The Specialised Services team is keen to embed plans for implementing the Strategy across all of its work. NHS England’s current framework for implementing commitments in the Strategy involves policies, NICE guidance, service specifications, quality monitoring and processes to hold providers to account. It will present RDAG with information, but not a formal plan, on how the commitments will be implemented in 2017. NHS England said that it does not believe it is responsible for communicating to patients how it is implementing the Strategy to patients, and that patient organisations including Genetic Alliance UK already do this. While it is expected that NICE will become responsible for evaluating all medicines in the near future, NHS England and NICE are interested in suggestions from stakeholders on all proposed new processes to manage the introduction of new technologies without displacing what is currently on offer.